Welcome to Swimfolk’s How to Swim Videos! Selection below will provide visual guidance for instruction in learning swim strokes. In order to receive all the wonderful benefits from swimming, one must perform the strokes to the best of their ability, concentrating on proper technique. Increasing one’s swim knowledge will enhance your overall swim experience. Please note that seeking professional help in the form of a coach, swim instructor or swim school is always encouraged. For information on what muscles are engaged during specific strokes Click Here. Swimmer is face up in the water, arms and legs stretched out in a lying down position. Swimmer’s arms rotate one at a time from swimmer’s side, up and pass the head and then back to swimmer’s side. Swimmer’s legs do a Flutter Kick and need not come above the water. Swimmer’s ears are submerged. Swimmer’s body is in a prone position (lying face down) and parallel with the bottom of the pool. Swimmer’s hands come together in a closed clap or prayer position, then stretch out straight and forward, extending all the way. At the same time, swimmer’s legs are doing a Frog Kick, in which legs stay submerged throughout the stroke. 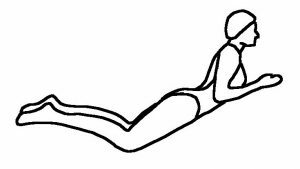 During the bending of the legs on the Frog Kick, swimmer’s arms bend at the elbows and sweep down, right arm on right side and left arm on left, palms facing down with arms pushing the water and causing the torso to lift out of the water. 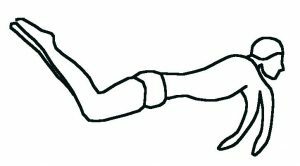 Swimmer inhales, arms form a closed clap or prayer position, and leg conduct the Frog Kick. Click Here for FREE copy of Breast Stroke instructional book. Swimmer’s body is in a prone position (lying face down) and parallel with the bottom of the pool. Swimmer’s legs are engaged in doing a flutter kick, while swimmer’s arms alternate reaching forward, elbow comes out of water first, then arm stretches pass swimmer’s head. Swimmer’s head tilts to one side and quickly inhales, while swimmer’s opposite ear remains in the water, Swimmer’s head turns back in submerged position and swimmer exhales slowly (blowing bubbles) while under water. Swimmer’s body is in an upright position in the pool, soles of feet facing the bottom of the pool, and head above the water. Swimmer’s leg are engaged in doing a Flutter Kick, while swimmer’s arms are chest high, performing a wide clapping motion, bringing them in and out repeatedly. Swimmer’s body is in a prone position (lying face down in the water). 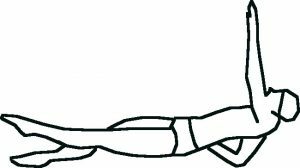 Swimmer’s arms rotate in large arcs with hands sweeping from the hips (right hand on right, left arm on left), then lifting up and over swimmer’s head, plugging into the water. As the arms go into the water, swimmer’s head come out of the water and swimmer inhales. When swimmer’s arms and head are submerged, swimmer exhales. Throughout this stroke, swimmer’s legs are engaged in a Dolphin Kick. For those who are taking swim lessons, hopefully these videos help to enhance your technique. I’ve always enjoyed watching instructional videos and tweaking and sharpening my skills with what I’ve learned. There are tons of great YouTube videos too that are also very informative for those who wish to perfect their skills even more. If you’re searching for hands-on lessons, Click Here for our Learn to Swim page to find a swim instructor, swim class or private lessons. Please leave a comment below if you found this page useful. As someone who is a beginner in swimming, I thought these were very helpful. I never learned how to swim as a child, so for me its been a bit of a learning curve! Previously when I was trying to learn the freestyle stroke, I had some issues with the breathing pattern. It was difficult for me to turn my head up high enough and I’d end up getting a nice gulp of water in addition to my air… do you have any tips or suggestions for consistently getting air instead of water? I enjoyed reading this article. Very informative for those starting out. Great Website! I haven’t swam in years, but I remember always being starving afterwards. I guess that’s because it’s such a good exercise. It works so many different muscle groups, definitely helps stress, and burns a ton of calories. I don’t know why I ever stopped swimming.